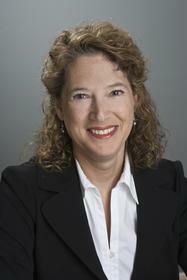 FALLS CHURCH, VA--(Marketwire - October 2, 2007) - Focused Image Inc., a leader in the Greater Washington communications industry for more than 20 years, has hired Laurie Gold as vice president of editorial. Ms. Gold was formerly editorial director and copywriter with the D.C. office of Blattner Brunner, an advertising agency based in Pittsburgh, Pa.
"In the senior editorial roles Laurie has held, she's led award-winning, strategic project teams for major clients and gained in-depth knowledge about the industries and types of clients we work with," said Toby Eckhardt, president of Focused Image. "Her experience, creativity and track record of results will help us greatly expand our internal copy and strategic messaging capabilities to support our growing client base." Focused Image recently announced the acquisition of more than 10 new client accounts and is actively recruiting additional top marketing and public relations talent to support the agency's strategic growth. "Focused Image is one of those rare agencies that grows its business almost entirely from client referrals," said Gold. "The agency's success is driven by achieving results repeatedly for clients, and by delivering on their promise through strategic creative messages and tactics in every campaign." Gold has more than 15 years of experience working for marketing and advertising agencies in the Washington area, most recently with Blattner Brunner and Carter Cosgrove. There, she played a leading role in developing the messaging, positioning and branding for several organizations, including Deltek, Watson Wyatt Worldwide and the Cancer Research and Prevention Foundation. Gold was also formerly a creative director at MHI Communications, where she spearheaded multi-faceted, fully integrated quarterly campaigns for Road Runner Residential and Business Class High Speed Online services. Prior to MHI, Gold was a senior copywriter and creative director with ProMarket, Inc., and held senior copywriter positions with Congressional Quarterly and Seabury & Smith. She started her career in a variety of marketing communications positions, including work with the Mortgage Banking Services Corp., Walker & Dunlop and Oxford Development Corporation. Gold earned a bachelor's degree in human development and social relations from Earlham College in Richmond, Ind. Focused Image Inc. is an award-winning marketing communications agency that specializes in branding, strategic messaging and fully integrated campaigns involving advertising, public relations and online marketing. Based in Falls Church, Va., the agency is a recognized leader in the Greater Washington metropolitan area's communications industry. Focused Image was founded more than 20 years ago by Toby Eckhardt, a leading national authority on strategic positioning and branding. Since then, it has been helping clients from Fortune 500 companies to fast-growing technology startups build brands and launch new products with strategies and creative communications concepts and programs that deliver results. Its client roster includes AOL, American Institute for Aeronautics and Astronautics, CSC North American Public Sector, Ericsson - Federal Division, XM Satellite Radio, SOME (So Others Might Eat) and many other great organizations. More information about the agency is available at www.focusedimage.com.